I wanted to do something a little different, as opposed to the usual summer flowers. I also wanted something fairly quick and easy – it can’t be “Beauty under 10” if it takes a long time and is difficult, haha! 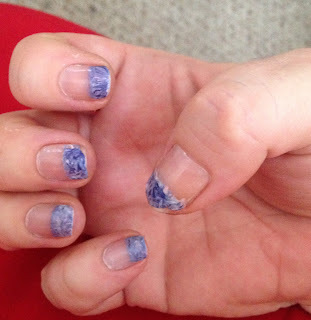 I wanted to have beach nails and water waves. I came up with this water marble design using no water! 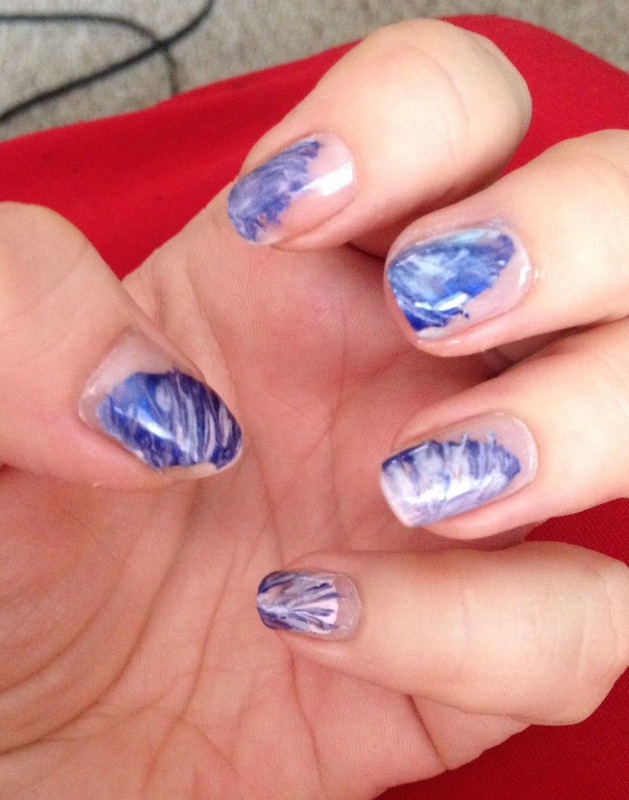 I’ve tried water marble but mine never turns out like in the tutorials I watch…. 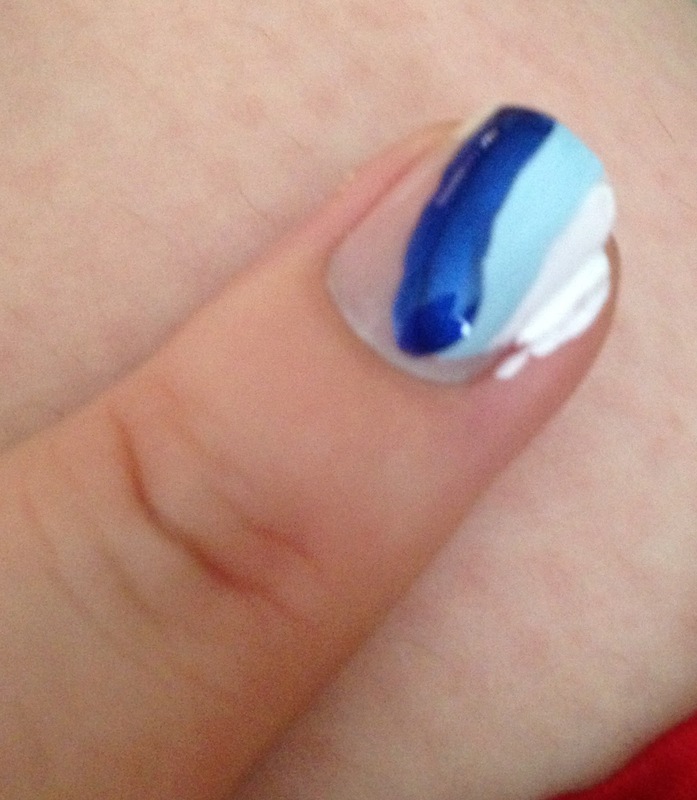 This is a simple technique using 2 shades of blue and a white nail polish. I will warn you, you do need to work fast in order to get the desired look. I opened each nail polish bottle before I started. So I could easily apply the colors. 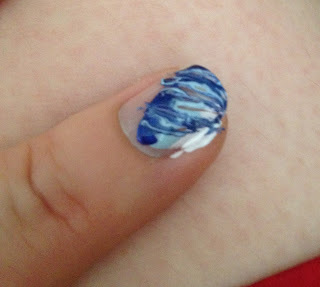 The only tool you will need is a striping tool, I think using a thin art brush helps mesh the lines of polish. - Start by applying a base coat to the nails, this helps the nail polish last longer, prolonging the life of your mani. 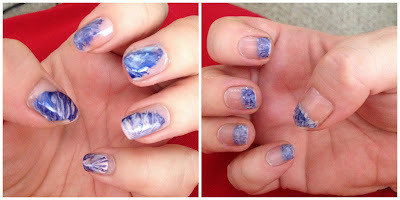 - Apply a line of white polish to the side corner of the nail, then a stroke of light blue, lastly a stroke of dark blue. - Using the thin art brush, start in the lower part of the nail in the center; make a line going up towards the cuticle (I didn’t go past the dark blue polish). 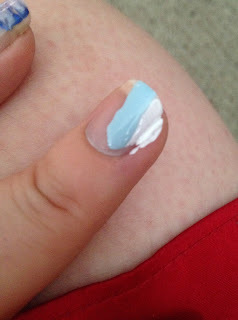 - Using the same technique, start in the bottom center of the nail this time going to the left, then a line on the right side. - You can continue to make lines until you reach the look you like. - Apply top coat to add a glossy shine. 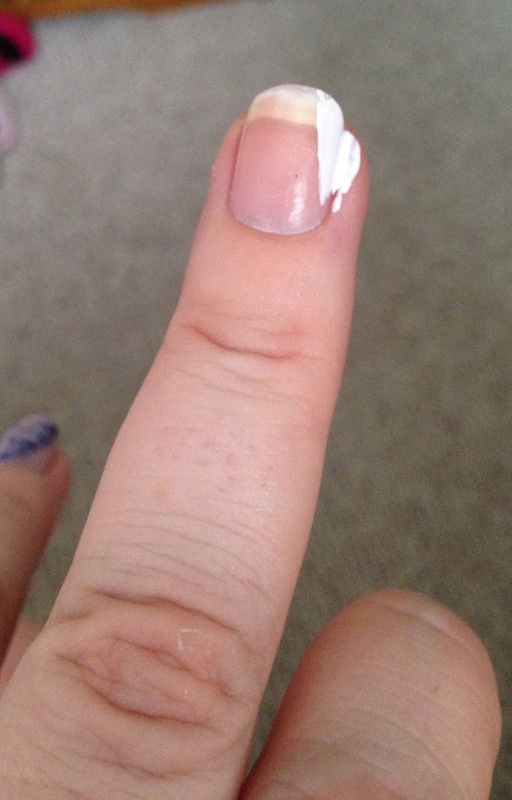 I also used this technique as a French tip design as well. To get clean lines, dip a small paint brush (or art brush) into some nail polish remover and gently remove any unwanted polish. This reminds me of waves in the ocean. Don't forget to share your nail art recreations with me on Instagram, Facebook or Twitter using #BU10nails.